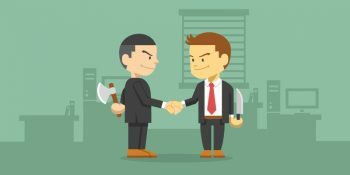 Regardless of the corporate health of your law firm, you will certainly find your staff falling prey to office politics. It should go without saying that office politics can be toxic and contribute to the attrition of valuable associates/talent. To combat the toxic nature of office politics, however, you must understand it. This three-part series will explore the root of office politics; how law firms can minimize its negative impact, and how new hires can navigate its treacherous terrain. Usually, office politics are the excuses of some to cover up their incompetence, their dishonesty, or laziness (Collins, E. 2015. The dark roots of office politics). Ms. Collins continues to state that there is no way to [positively] use office politics and that no matter how you look at it or use it, office politics are extremely damaging to employee morale, the firm’s effectiveness, and the workforce. Office politics affect those who truly came to work. Associates performing the same jobs and tasks, are in the same year, yet have very different income levels points to favoritism. Operating under the assumption that knowing the right people will deliver more financial rewards (as opposed to delivering quality work) causes people to engage in toxic office politics instead of being productive. Cronyism and backbiting. If anyone perceives that certain people or one group get all the [best] assignments, the assumption is because those associates have a “special” relationship with partners or higher-ups. This can cause others to play office politics by disparaging the favored employee and/or brownnosing with the person/people in power instead of focusing on delivering their best work. Decreased morale and increased attrition. If the staff feels that anyone can be fired for any reason or even no reason at all, that the firm continuously fires “good” attorneys while keeping “bad” increases the toxicity of the work environment thus encouraging the remaining staff to constantly seek other work opportunities. “Why stay here, if I am not valued?” is what will be top of mind for any good law firm employee. A dynamic where the perception is that are incentives to participate in office politics will contribute to a toxic work environment. Teamwork will be a thing of the past and backstabbing and sucking up to power will be the most important task of the day. The next part of this series will explore what law firms can do to minimize office politics. Subscribe to the Leopard Blog for discussions about law office management, diversity, law firm insights, and other relevant topics. Leopard Solutions is an online resource for real-time legal data and insights for law firms, corporations, law schools, recruiters, and attorneys. Our suite of data intelligence tools helps you with business development, firmographics, marketing, and data analysis. Our tools are popular with HR teams, talent acquisition/recruiters, business development, sales, and marketing teams. Is It Time to Wrap It Up and Retire Your Law Practice? You’re Over It! But, Is It Time to Fly Solo? Copyright © 2019 Leopard Solutions. All rights reserved.